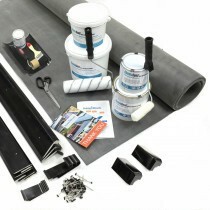 Need help selecting the ideal EPDM roofing kit for your project? 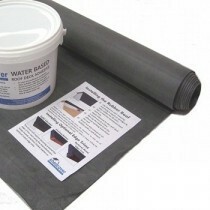 Unsure of whether a rubber roof membrane is the best option for you? Speak to our team via the online live chat located in the lower right hand corner or call us on 01295 565 565. 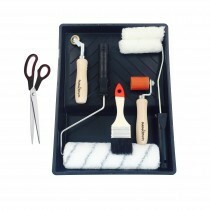 We'll help you pick the perfect roof kit for your project and will ensure you have all the roofing supplies you'll need to finish the job. 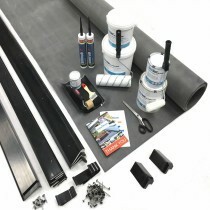 Roof kits are ideal for those looking to fit a EPDM membrane onto their flat roof but are left daunted by the variety of adhesives, trims and tools required. 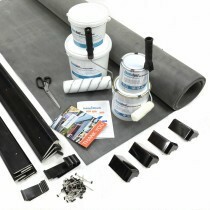 This is as our rubber roofing kits provide you with everything you'll need for the hassle-free installation of an EPDM membrane. 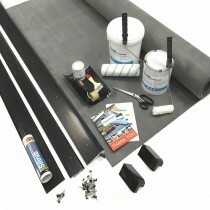 Our range of EPDM roofing kits include those build for specific roofing applications, including garage roof kits, porch roof kits, orangery roof kits and shed roof kits. 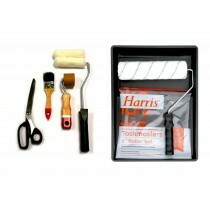 We also offer a free online calculator to confirm the necessary membrane, adhesives and trims you'll require for your project. If you have questions about our range of rubber roofing kits, talk with our team via the online live chat or call us on 01295 565 565. We will help you determine which membrane is the best solution for you and ensure you have everything you need in your roofing kit. 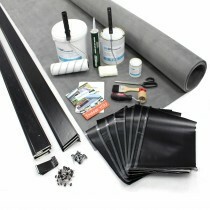 With quick delivery across the UK, your rubber roofing kit will also be on your doorstep in a matter of days.